As you may have already noticed, I have added a new comment system that allows you to comment using your Facebook login information. 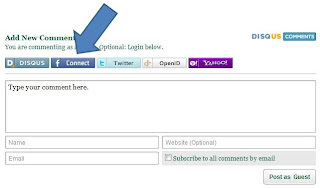 To login to leave a comment simply click the Facebook connect button in the comment box. By logging in via Facebook, it automatically puts your user profile picture up. The first time you use the Facebook connect button, you must allow the Wakworld Comments Facebook app to share your information. Simply click allow once you are asked. You will only have to do this once. You can also share your comments with all your Facebook friends by checking the "share on Facebook" box in the bottom left of the comment box. Feel free to comment to this post to try it out! Do you have your own personal nerd that I don't know about?